Arrow Video have revealed their April line-up. 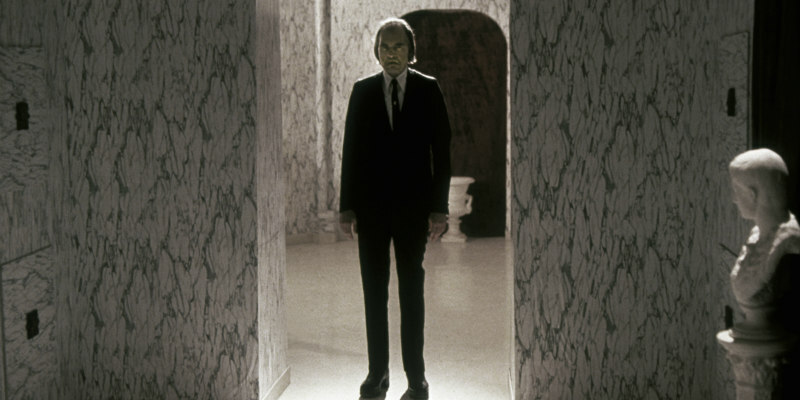 The late Angus Scrimm, best known for his iconic role as The Tall Man, the creepy antagonist of the Phantasm series, would be proud of the upcoming box-set Arrow Video have lined up for release in April. From the 1979 original through to 2016’s Phantasm: Ravager, Arrow's limited edition box-set collects all five films in the series on blu-ray for the first time. The first movie has undergone a 4K restoration overseen by Phantasm mega-fan JJ Abrams. As well as a ton of special features, including a new feature length documentary, the box comes with a replica Phantasm Sphere and a 152 page illustrated book. It's available from April 24th. On April 10th comes a 2K restoration of Caltiki: The Immortal Monster, directed by Italian genre titans Riccardo Freda and Mario Bava. Special features include commentaries by Bava experts and authors Tim Lucas and Troy Howarth, a new interview with critic Kim Newman and archival interviews with critic Stefano Della Casa and filmmaker Luigi Cozzi. 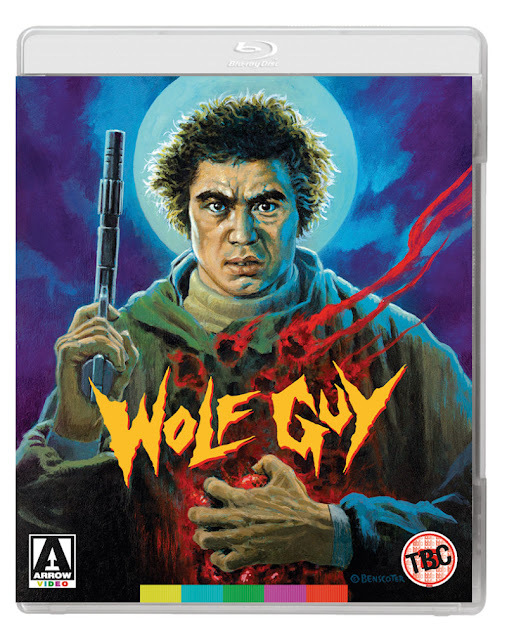 A genuine cult oddity arrives on April 24th in the form of director Kazuhiko Yamaguchi's martial arts monster mashup, Wolf Guy, never released outside Japan before now. Japanese legend Sonny Chiba stars as a crime-fighting werewolf! Special features include new interviews with Chiba, Yamaguchi and producer Tatsu Yoshida. Future Amicus founders Milton Subotsky and Max Rosenberg were behind this overlooked 1959 gem starring the great Christopher Lee. 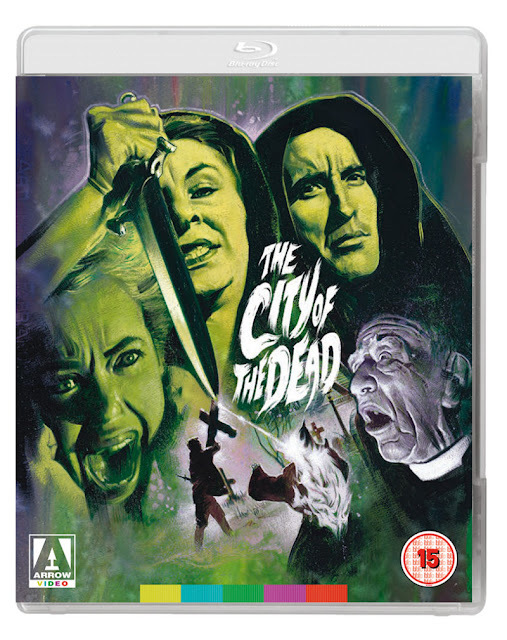 Previously a staple of public domain box-sets in dodgy prints, City of the Dead has now received a 4K digital restoration by the Cohen Film Collection and the BFI. Available April 24th. Lee plays Professor Driscoll, an authority on the occult who persuades one of his students (Venetia Stevenson) to research his hometown, Whitewood, once the site of witch burnings in the 17th century. Booking herself into the Raven’s Inn, she soon learns that devil worship among the locals hasn’t been consigned to the past. Special features include a commentary by British horror expert Jonathan Rigby, with more to be announced. Arrow will bring us a new release on April 24th with Catfight, a black comedy starring Sandra Oh, Anne Heche and Alicia Silverstone in a satire that's been described as a female Fight Club. Struggling artist Ashley (Anne Heche) and wealthy housewife Veronica (Sandra Oh) were friends at college, but their paths have not crossed since. When they find themselves attending the same event (Ashley working as a waiter at Veronica’s rich husband’s party), their initial thinly-veiled verbal pleasantries soon take a turn, leading to an all-out brawl and all-consuming rivalry that will keep these two locked in combat for years. Special features include commentaries from writer-editor-director Onur Tukel and actors Oh and Heche. Arrow previously released Emilio P. Miraglia’s gothic giallos The Night Evelyn Came Home and The Red Queen Kills Seven Times in a double box-set. On April 17th both movies will receive individual releases.